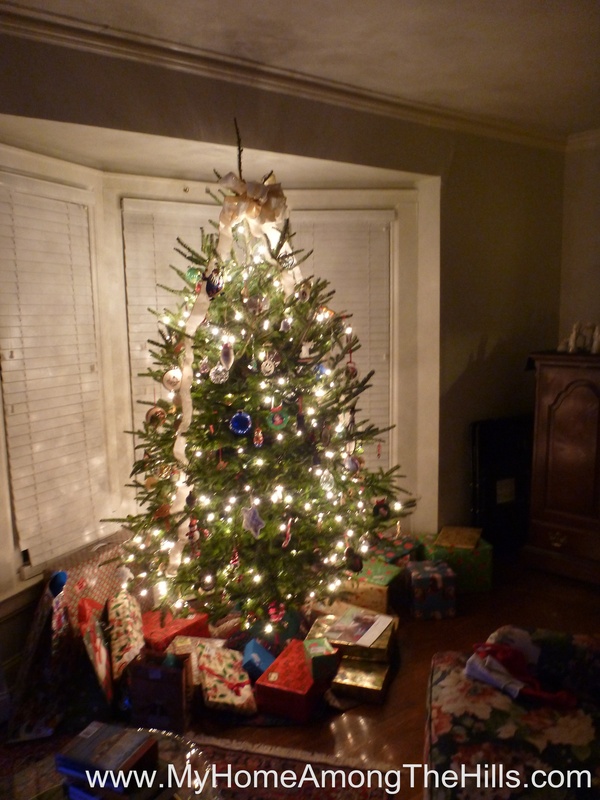 Here it is, the day before Christmas! We trimmed our tree about a week or so ago. We have been listening to Christmas music since Thanksgiving and all of our presents were purchased online and delivered a week or more ago. So, what does that leave us to do on Christmas Eve? Clean of course! 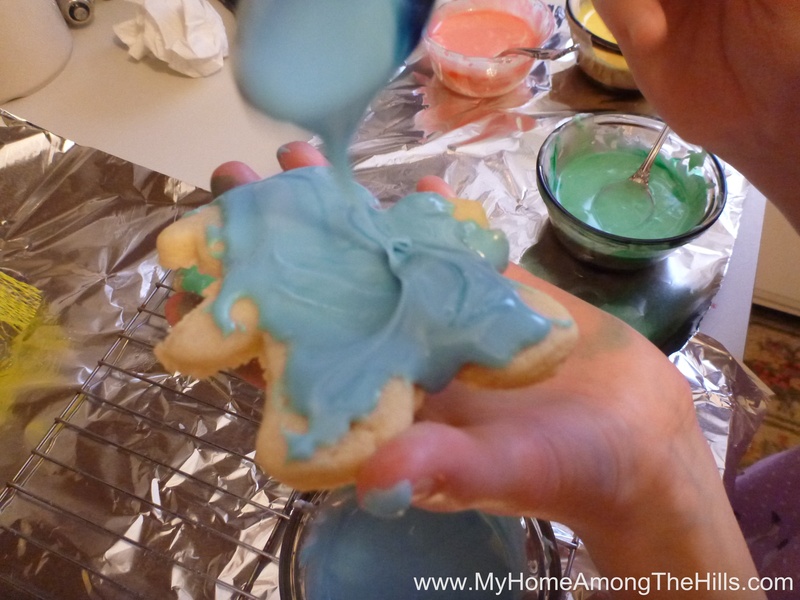 Santa won’t come to a messy house! 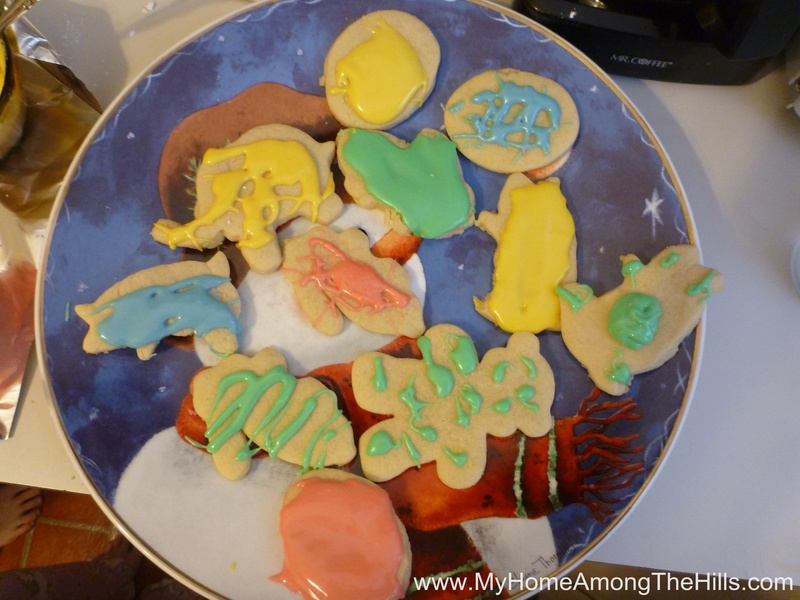 Let’s see, we also had a big fight and we baked Noah’s Ark Christmas cookies. It’s pretty typical Christmas Eve fare for us. Wait, what? It all sounds familiar except the Noah’s Ark cookies. Doesn’t everyone do Noah’s Ark at Christmas? 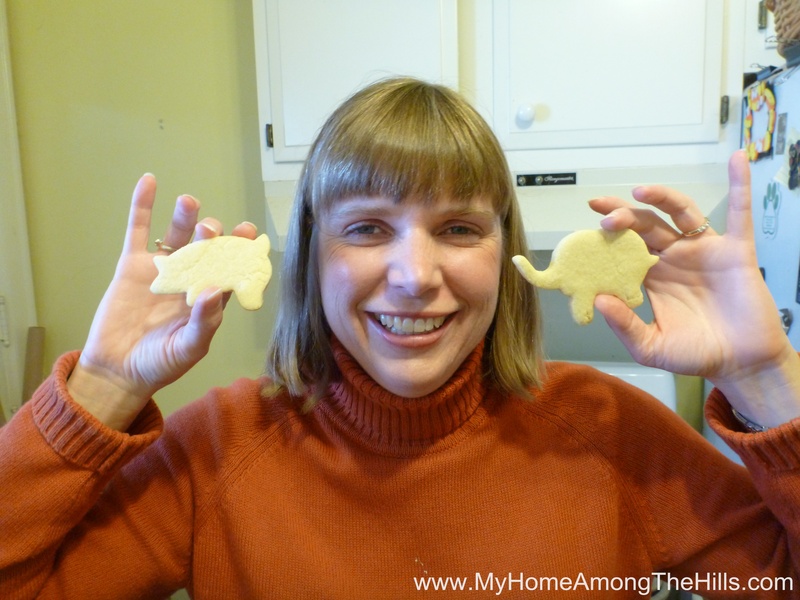 Ever since we lost all of our typical Christmas cookie cutters, we have gone with Noah’s Ark. Santa really loves sugar cookies and especially if they are covered in super thick, rich sugary icing (yeah, he told me exactly how he likes them so I can relay that to Abigail, our decorator). Emily and Abigail mixed up the dough this morning while I went on an egg nog run. 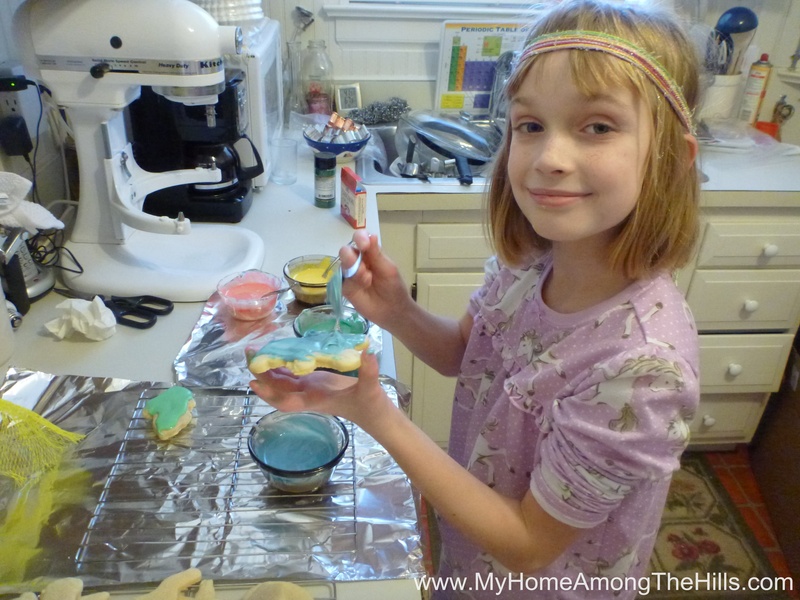 Emily, Abigail and I cut out and baked the cookies and Abigail has decorated them. She is such a trooper. Isaac is more of a bum but I am sure that he supported us in spirit anyhow. It’s hard to say as he is up in his bedroom trying to escape our over-the-top rendition of White Christmas. 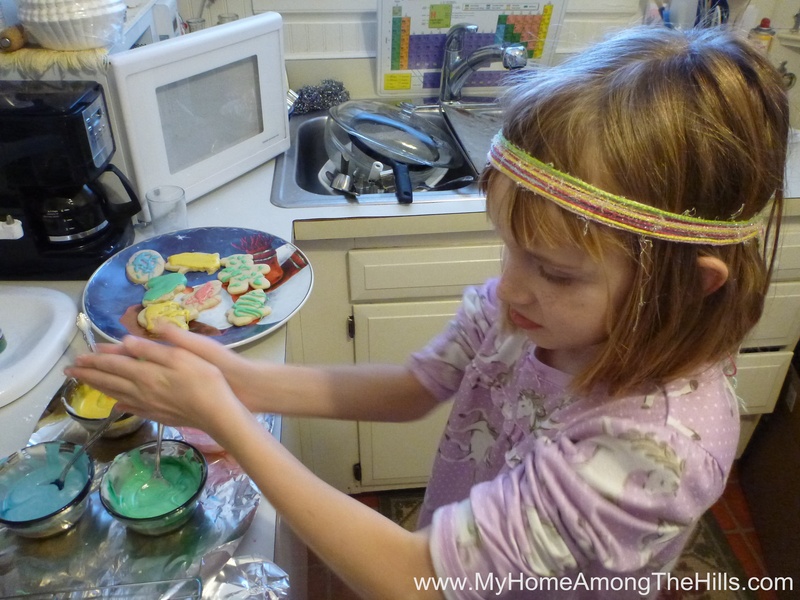 That's how she decorates cookies! Anyhow, it’s such a pleasant and sunny day that it is hard to get into a proper Christmas spirit in the usual way. 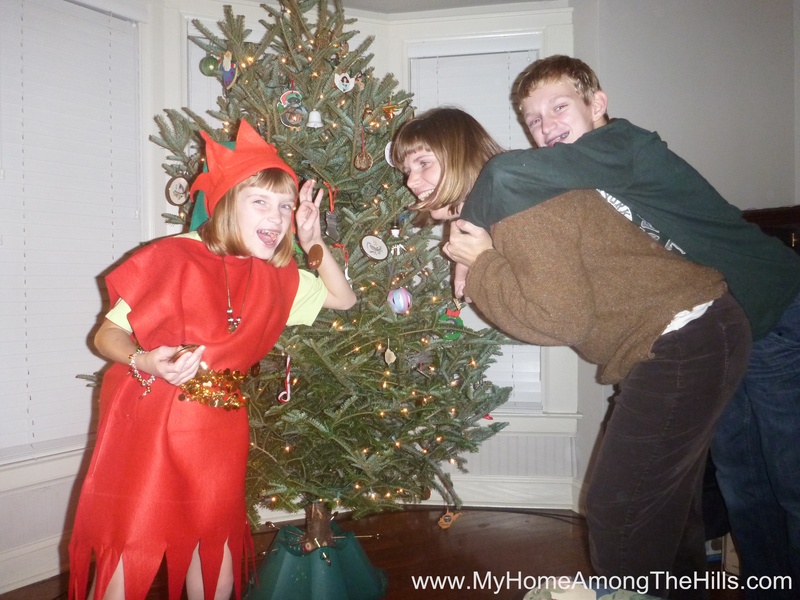 Instead, we are doing our best to get all of our family traditions in a row so the kids will have proper discussion for their therapy sessions when they are adults. They might as well get their money’s worth, right? Merry Christmas and happy Noah’s Ark day! I get these streams of consciousness in my head sometimes so it may be tough to stitch my thought pattern together but I was listening to XM radio the other day. The WWI-Snoopy-Red-Barron song came on and it made me think about time. I got to thinking about how time flies and the Snoopy song made me realize that my Grandpa, who is 97, was alive during WWI. My paternal Grandpa fought in WWI. I suppose it doesn’t seem quite like yesterday, but with the rate at which time is flying for me, I can imagine it might not seem like such a distant past to my Grandpa. This scene was quickly followed by a headlock and noogie! Isaac turned 12 and Abigail is going on 9. Where did that time all go? Why am I spending time at work? Wouldn’t it be nice to just enjoy every minute of their fleeting childhood? Hmmm…well, maybe not every moment. 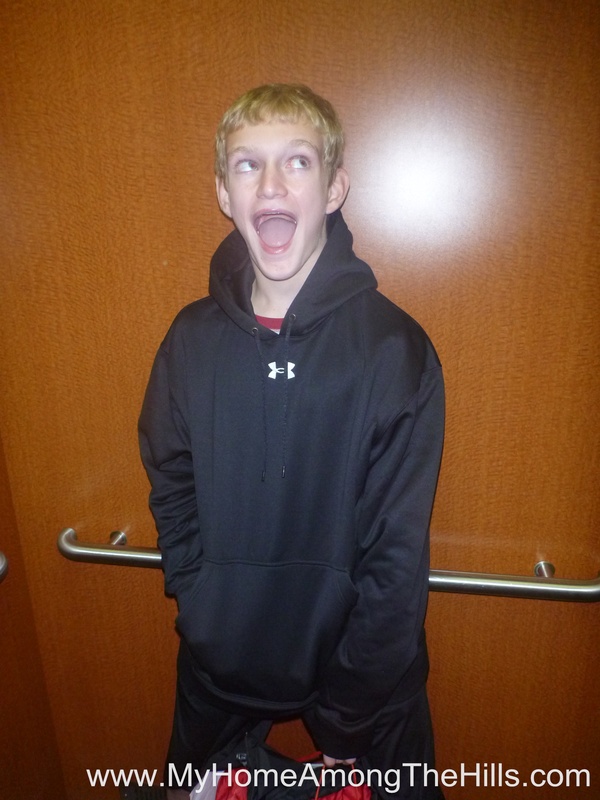 Isaac is a pre-teen now and showing his colors very well. Spring is in the air? Really? Anyhow, I got to thinking about why time flies so fast and it is all about retail, I am convinced! 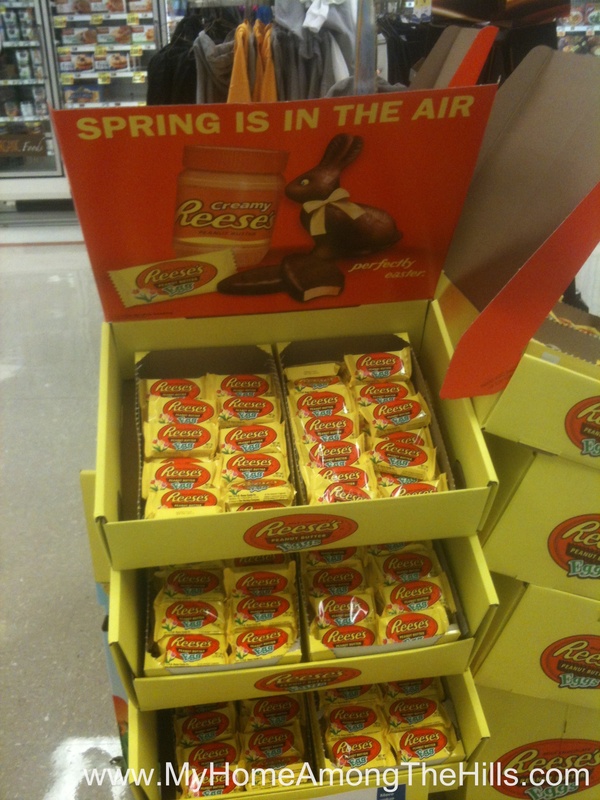 I was in the local grocery store the other day and noticed that they have Easter candy out already! It’s not even Christmas! I get building up for a holiday but really? Easter in December? Time flies though so it will be here soon enough. 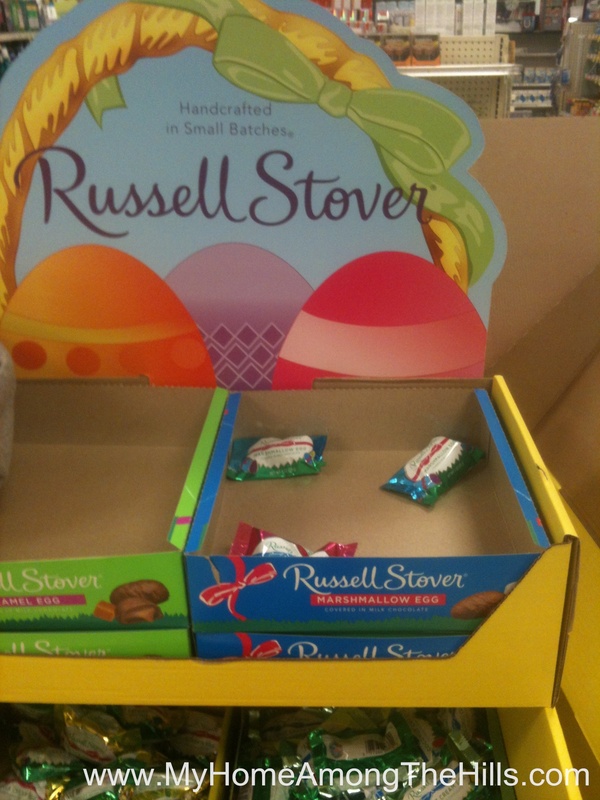 Easter candy is almost gone...in December? We received a catalog in the mail from a big outdoor clothing place. They were advertising their end of Winter sale…it wasn’t even Winter yet but it’s over already?! I don’t want time to fly as a general rule. 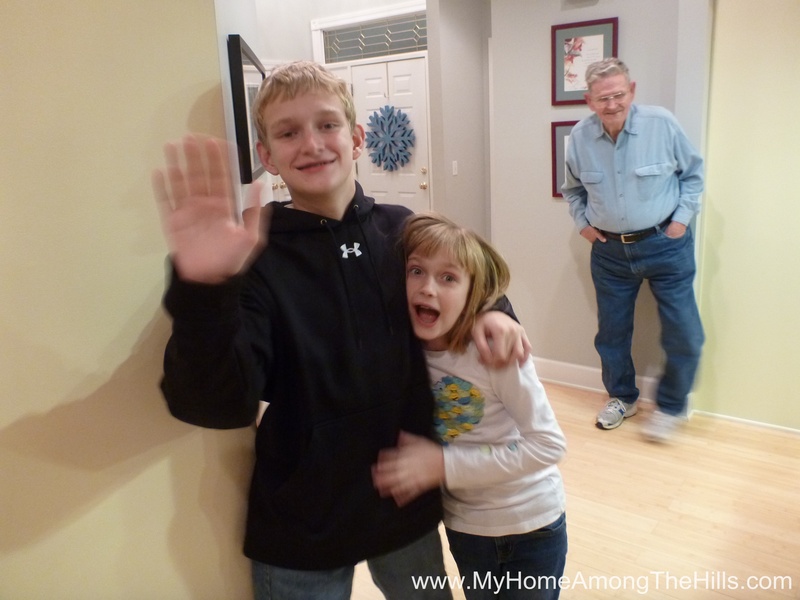 I do enjoy (almost) every moment with the kids and with Emily and I want those times to slow down. But Winter? Nope…come on Spring! It’s been hectic. I mean it is always hectic at Christmas time but it seems like my work and the kids’ activities are much more wild than normal. 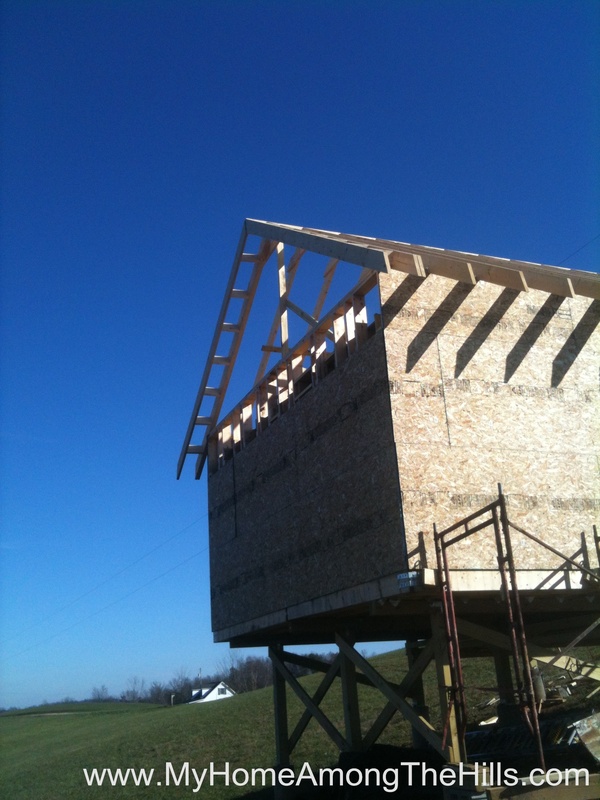 We have been fortunate with our weather though and that means we have been working on the cabin the last two weekends. 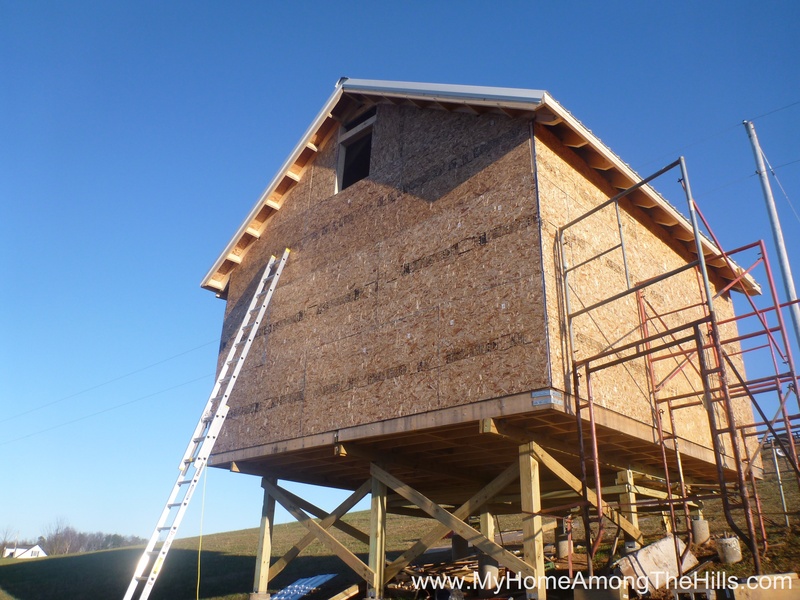 So, in the last episode, we left our heroes working on the cabin, hoping to get the gable ends framed in and covered with sheathing. That's a long ways down! 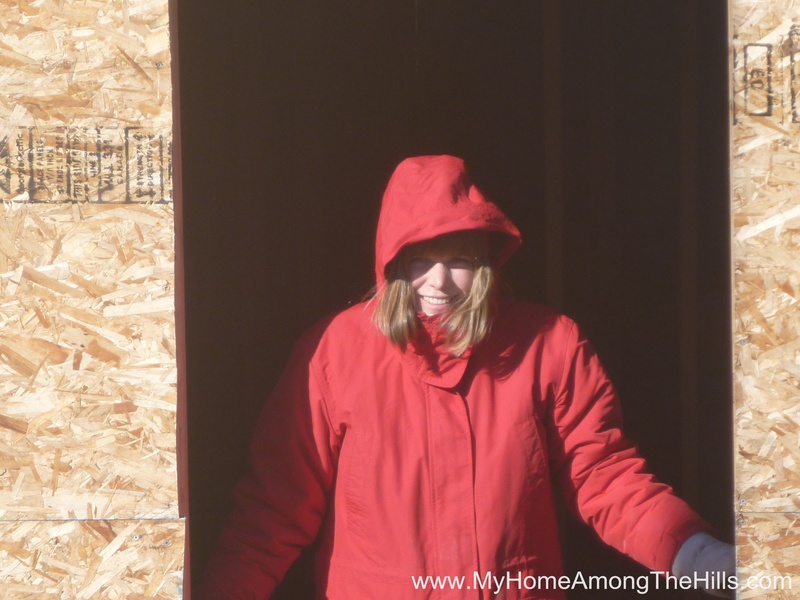 The dastardly weatherman called for snow and rain to thwart the attempts of our heroes to get the place weathered in before the snow ruined all of the hard work and industrial glue used to hold together the over-priced plywood and OSB used throughout. Ok, I can’t stand the wait…no cliff-hanger here. 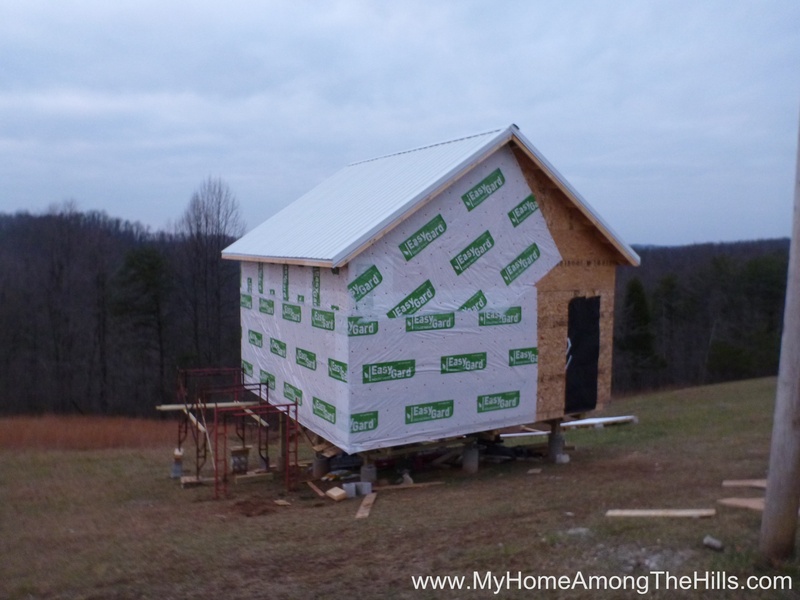 We got the sheathing up and put house wrap up on about half of the place the last two weekends! 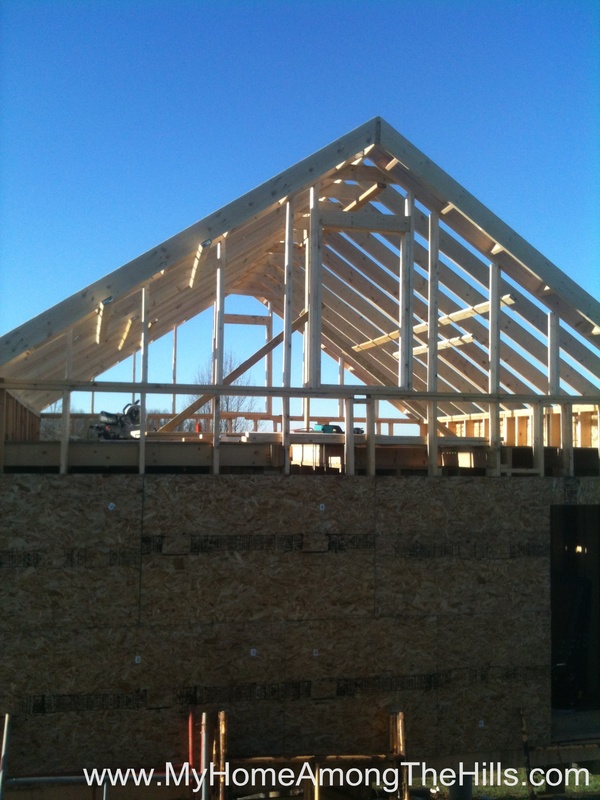 One gable end framed in! The high parts are done! House wrap, it turns out, is some weird stuff. It blocks water from the outside. Water vapor can freely escape the other direction though so moisture from inside the house can get out. The problem is that if larger water particles get behind the wrap, they are held in place…only water vapor can escape. Sometimes that makes things rot as water usually does. I read a bunch of stuff on the internets about whether house wrap was a good idea or whether old fashioned tar paper was better. It seemed like I found a pretty mixed story about it. Most people said tar paper was really good and that it lasted forever and has been used successfully for a long time. 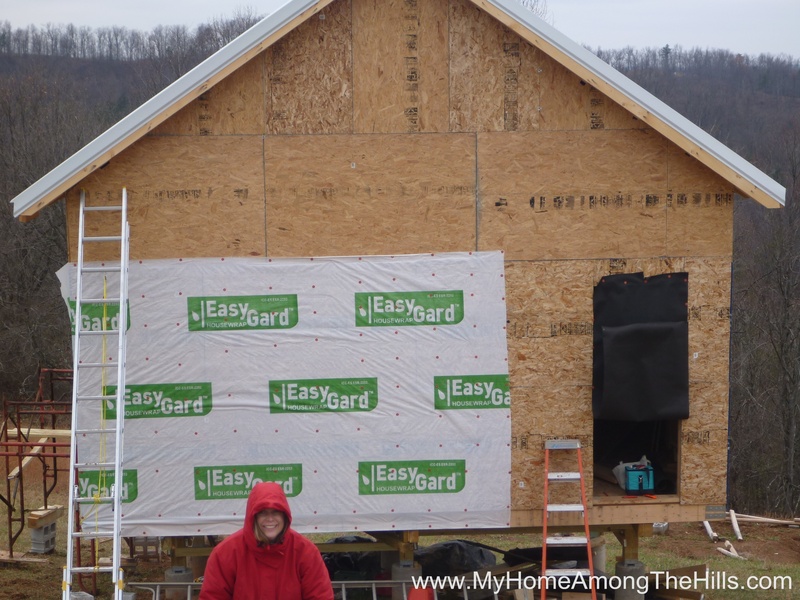 House wrap is only popular because it goes up fast which is important to home builder. That fact is also popular with my wife so we (she) finally decided to use house wrap. About half of the house wrap is up! 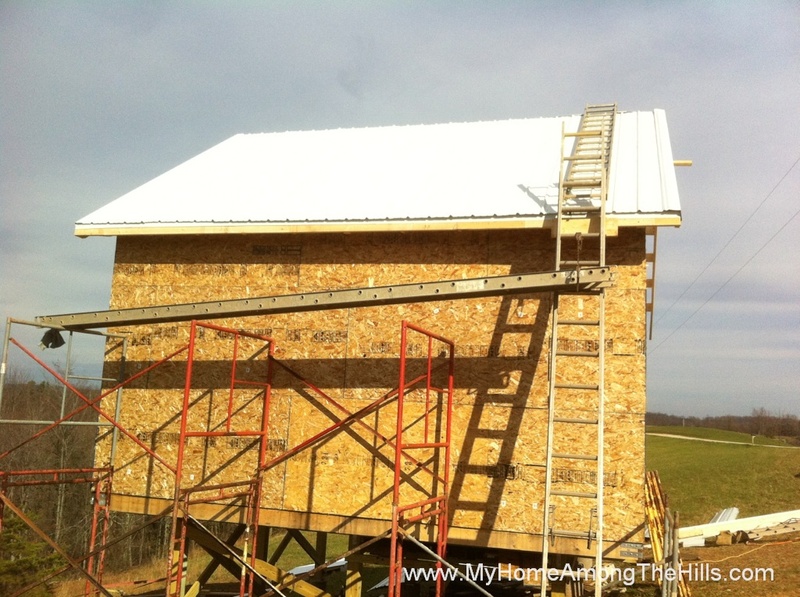 We have about 4 months to get the house wrap covered with siding before UV rays from the sun start to ruin it. If anyone remembers my other remodeling experiences, you will recall that a 4 month deadline is pretty tight for me! The kids have really enjoyed hanging out with their great-grandparents as we do this final push to get things done though. Another few months would suit them just fine I think. 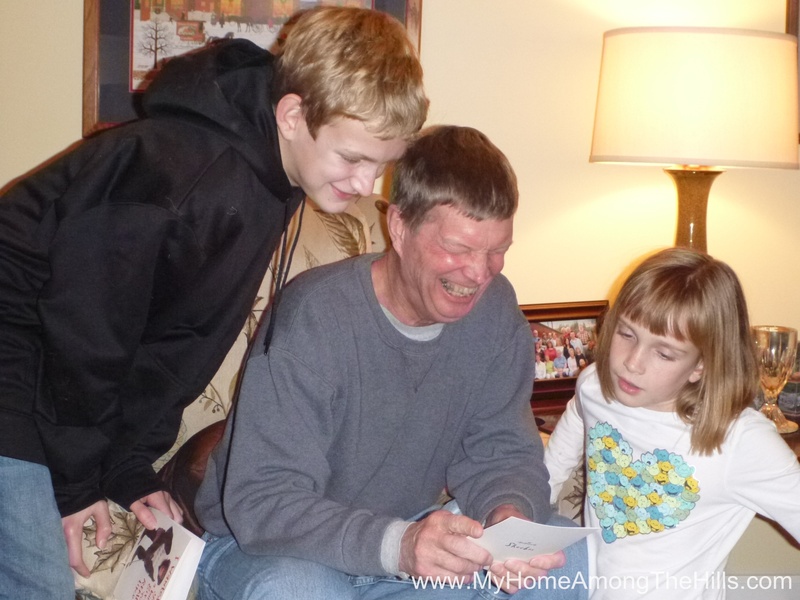 Great-grandparents, it turns out, really like to spoil great-grandkids. Apparently it is in the Constitution or something. Anyhow, as this year (and probably the nice weather) wraps up, I really owe a lot to all of the family and friends who have helped in various ways to get this place under cover! I am so tired of wrapping so your Christmas presents are in the mail! I am very fortunate to have the type of job I have. For the most part, I can wear whatever I want to work. I usually go with some sort of business-casual costume but I could almost as easily wear a clown suit. I only own khaki-brown pants and brown shoes so it is pretty easy for me to get it all together in the morning and I sort of like the simplicity of my wardrobe. 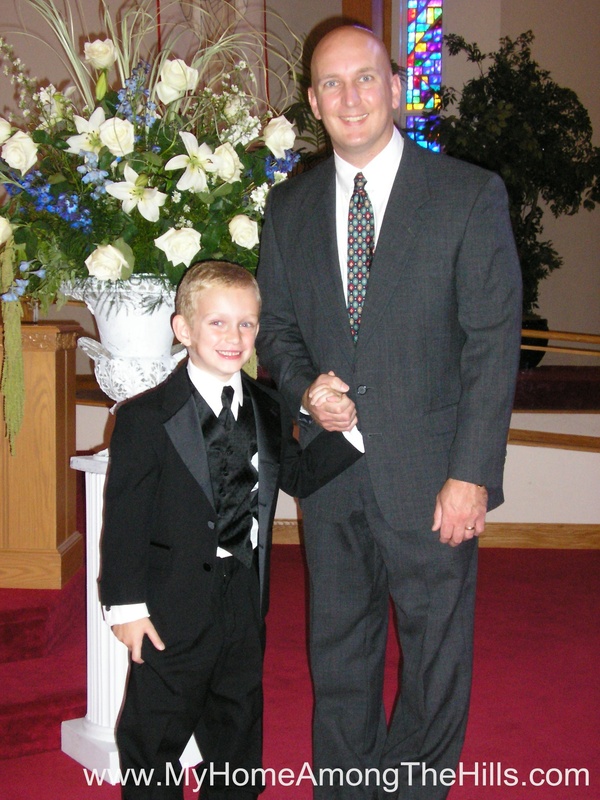 Both of us...at the same time...6 years ago, the last time we got dressed up I think! Sometimes, I suppose different dress is required. I always said there is only one reason to get dressed up – to honor the end of a life…like at weddings and funerals. For those occasions, I have exactly one suit. 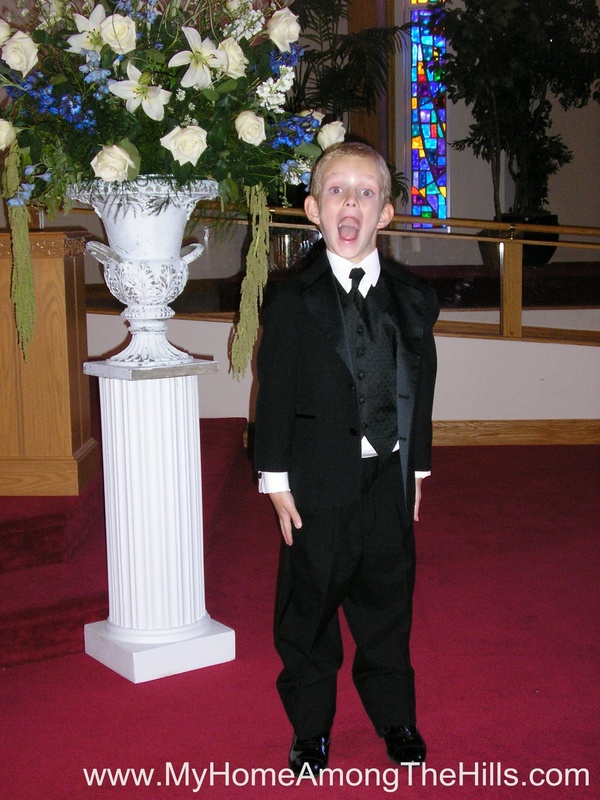 I think he actually liked the tux...or is that a scream of pain? Isaac has a band concert tonight and he had to wear something a little more special than the usually middle-school-wear of jeans and a hoodie. 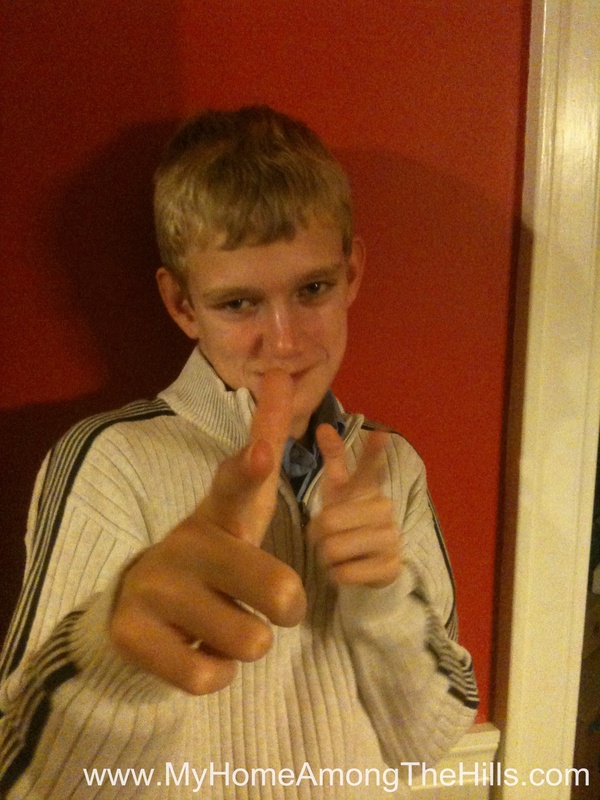 He had to wear a collared shirt…gasp! Of course, he forbade Emily to buy him anything with a collar in August when we bought school clothes so they had a shopping trip yesterday to prepare for the band concert. For me, clothes are a nuisance. I am not ready for the nudist camps but I just don’t care about wearing the best designer clothes or anything but my one pair of brown shoes. Isaac is much like me though he had definite opinions on what new clothes he needed. He was so proud and excited to wear something different I think. You might think we are cheap-skates by how he justified his new clothes, “I can wear them at Easter too Dad!” I know better though…he is growing far too fast for those clothes to fit at Easter. Still, I appreciate his thrifty suggestion. 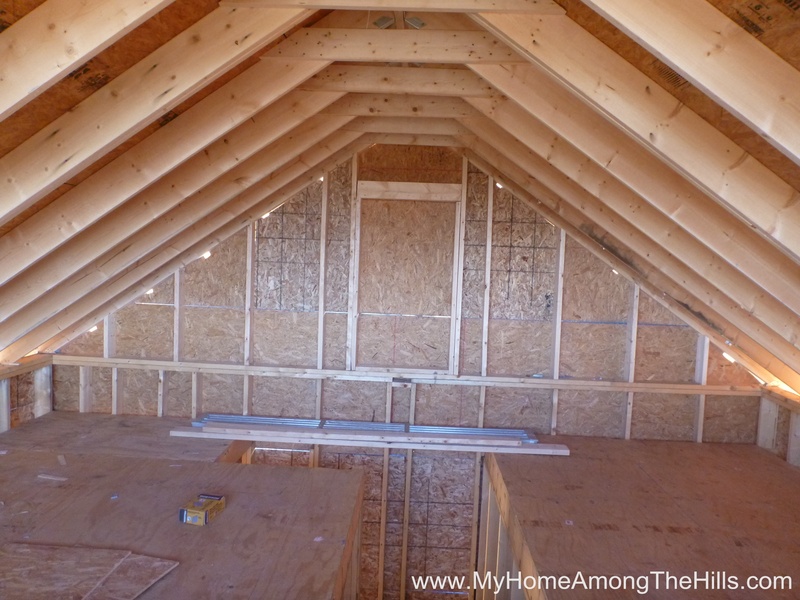 The deluxe shed is under roof! 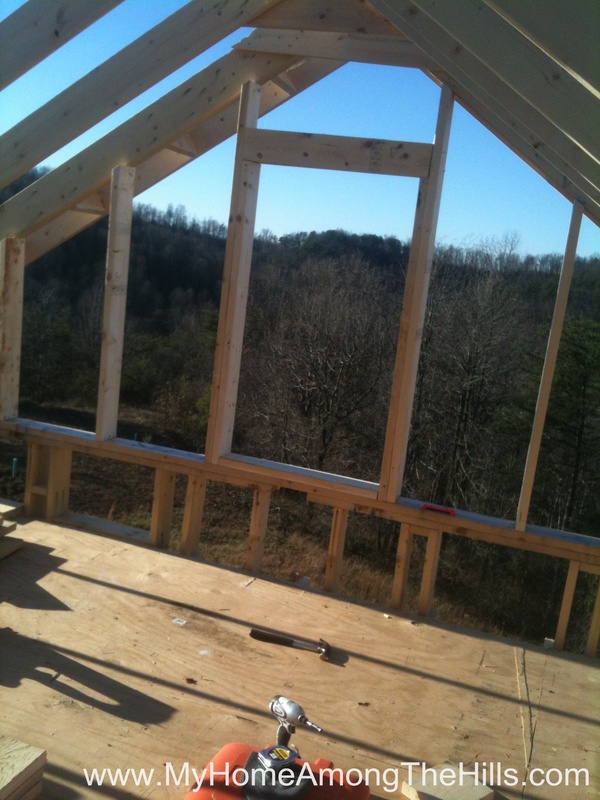 The boys from up on the ridge recommended a guy who does construction work for a living to put the roof on the place for us. 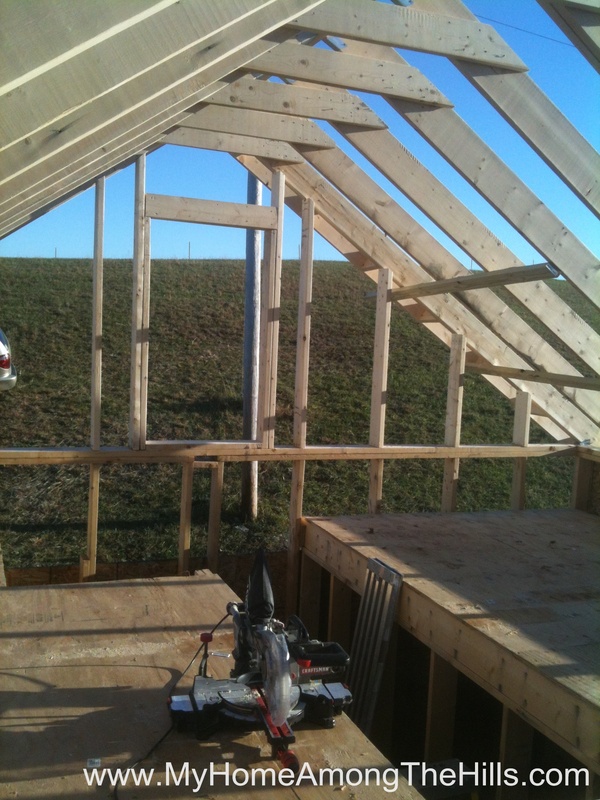 I had no interest in trying to tackle that project and I am certain it was the best money I have spent so far. But let me back up and tell you the story of getting to that point. I called a local metal manufacturer to get help on what all I needed. I talked to one guy the first time I called and he was super helpful and told me all of the measurements I needed to get. I called back a short time later and a different guy flat out refused to help me with anything stating that he preferred to work with contractors rather than homeowners. I was mad as a hornet and decided that I would not use the local company under any circumstances. I so much wish I could name this company but I guess it’s better if I don’t. I looked around some more though and found that they were really about the only game in town. I called back another time prepared to climb up someone’s hind-end but I got another guy and he was super nice and helped me get the order in. Initially, he told me it would be three days for delivery (which would have been perfect as I was planning to be at the property then). 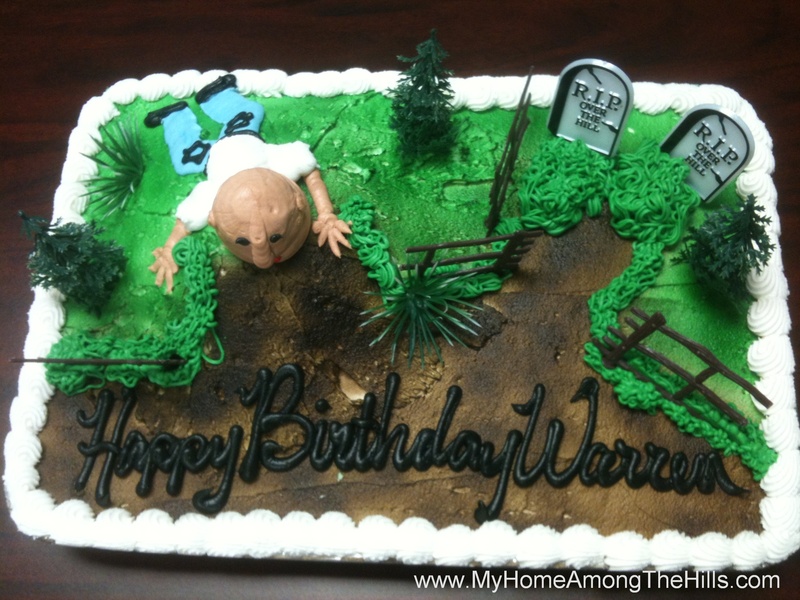 Just a few minutes later, he called back and asked if he could deliver first thing the next day. Of course, it was supposed to rain like mad the day I ordered as well as the next day, delivery day. 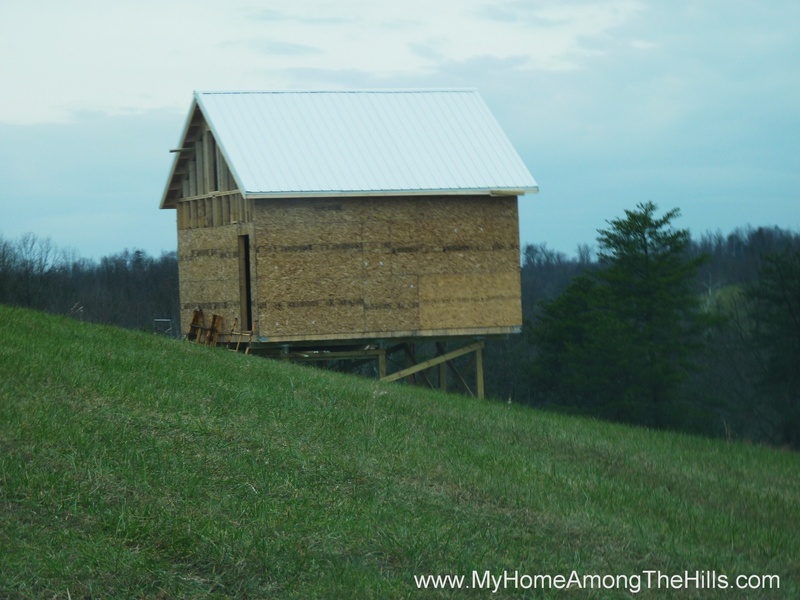 He assured me that it wouldn’t be a problem and that they had 4-wheel drive trucks and could get across my hay field (which does not yet have a driveway) to drop the metal right beside the building. Of course, I got a call on delivery morning to tell me that they could not navigate the mud (which I had already guessed) and asked what I wanted to do. I had no other option but to have them drop it by the road. Now I have no worry whatsoever that the folks who live up there would leave it alone and would, in fact, try to keep an eye out on the pile for a week, but $800 worth of metal roof might be too tempting for some passerby. I drove up that night in the rain and dark and proceeded to drag the metal pieces across the field to the work site. Holy cow is that metal heavy! It was pitch black and raining and muddy so I had quite a time of it. 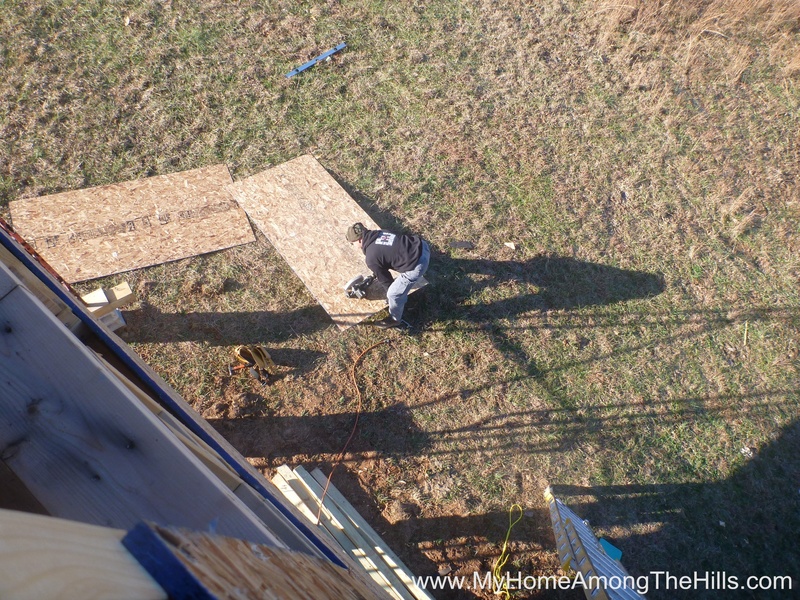 Enough of the whining…the roof guy and his crew came out on Sunday and spent all day putting the sheathing and metal on the place and it looks good in the pictures I have seen. I haven’t even been up there yet to see it in person but Emily’s grandparents and Susanna, our neighbor both sent me pics. 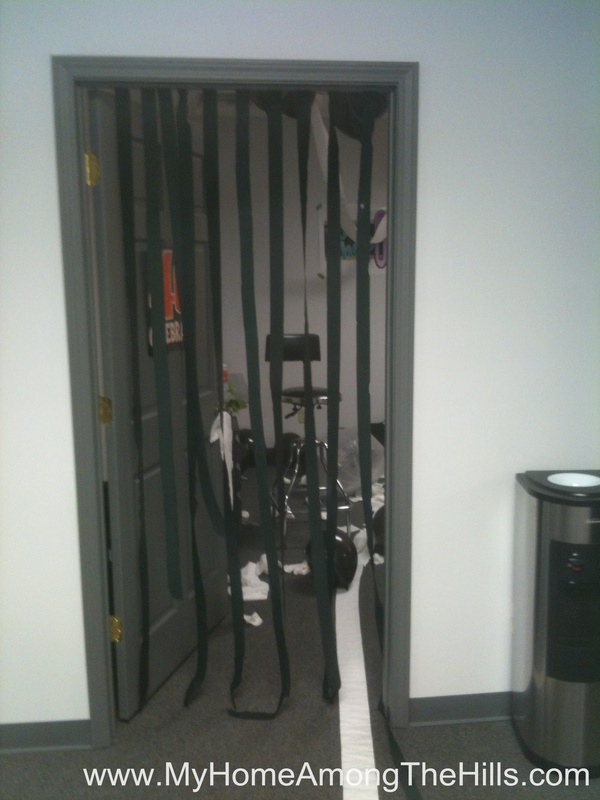 I took off the day before my birthday and my…uh..friends in the office spent a good deal of time…uh…decorating. They didn’t quite finish so breakfast was for the final touches. Anyhow, they did an awesome job and it was a great start to my day! 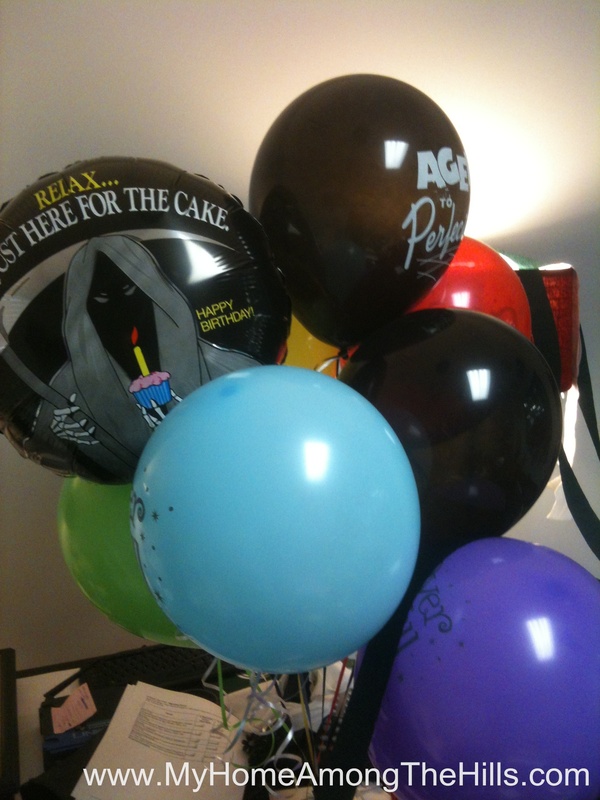 I pretty much walked around in circles all day and admired myself in the mirror as well as the decorations in my office. 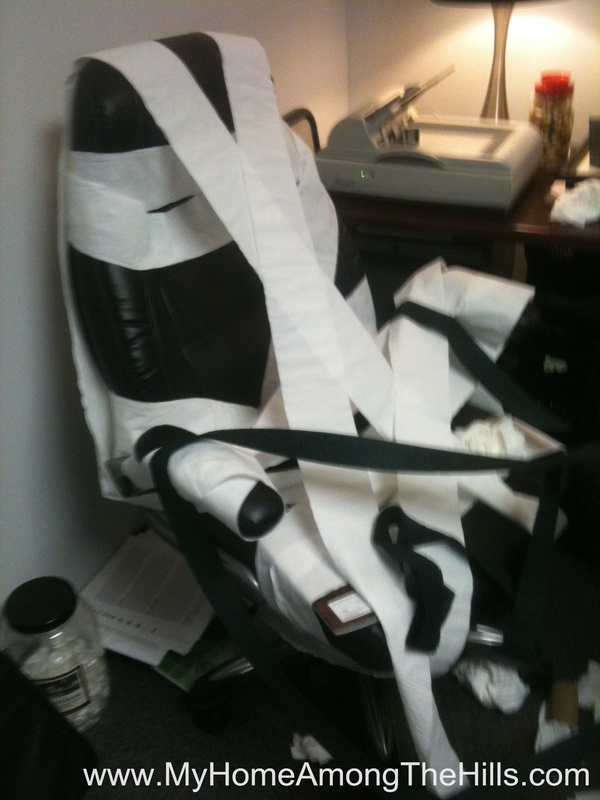 4 rolls of toilet paper went into the making of this surprise! They were so generous! 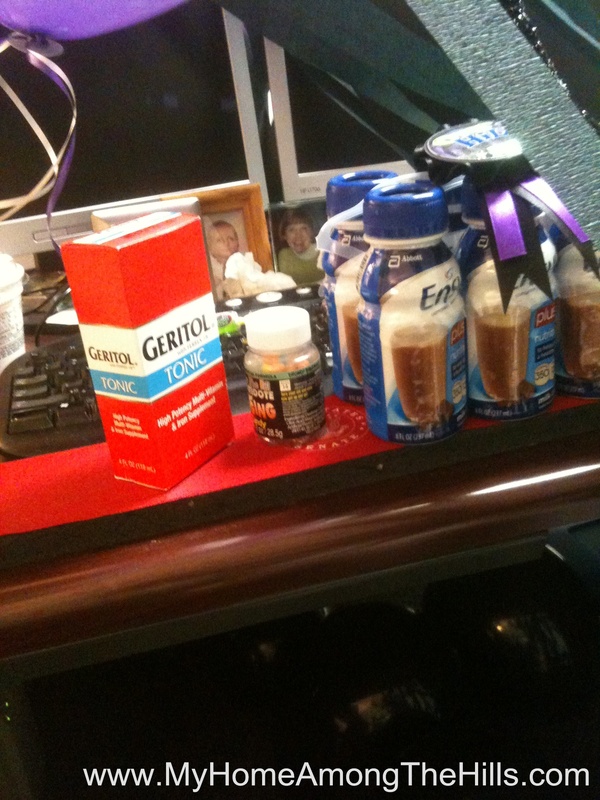 They even got me Geritol and Ensure! After work, Emily had set up a big party with some family and friends at a local bowling alley. A few months ago she was talking about a more formal dinner party and I said that it wasn’t really my style. I am more bowling alley than sit down dinner, you see. So, we switched gears and I had a great party in the bowling alley! 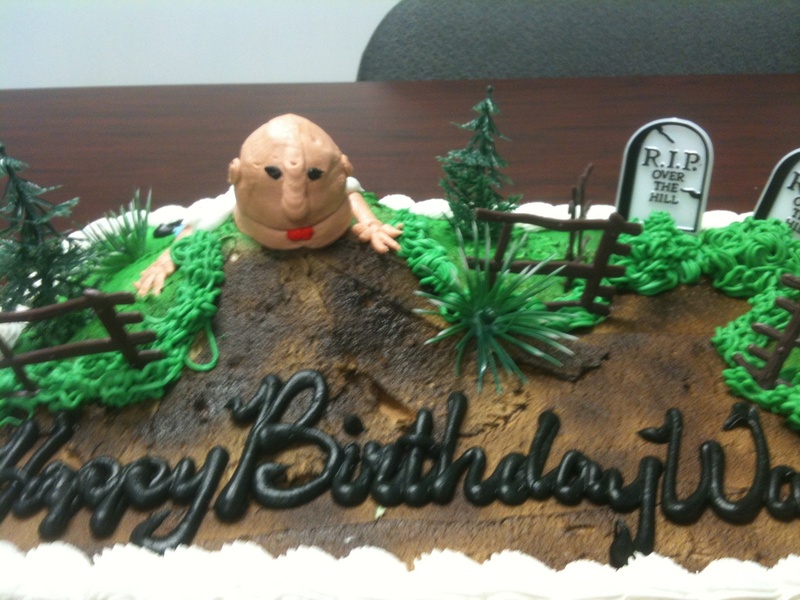 I guess most people stress out about turning 40. They feel old and out of touch and sloppy and all of that but I just don’t feel any of that stuff. I still act like a 13 year old most days actually. I don’t know, I like turning 40 and I am pretty proud to cross over into a new demographic on all of the forms and surveys from now on. Someday I may be tempted to buy a Buick, but for now, I am not ready to grow up! We don’t watch a lot of television and I am often reminded of exactly why. 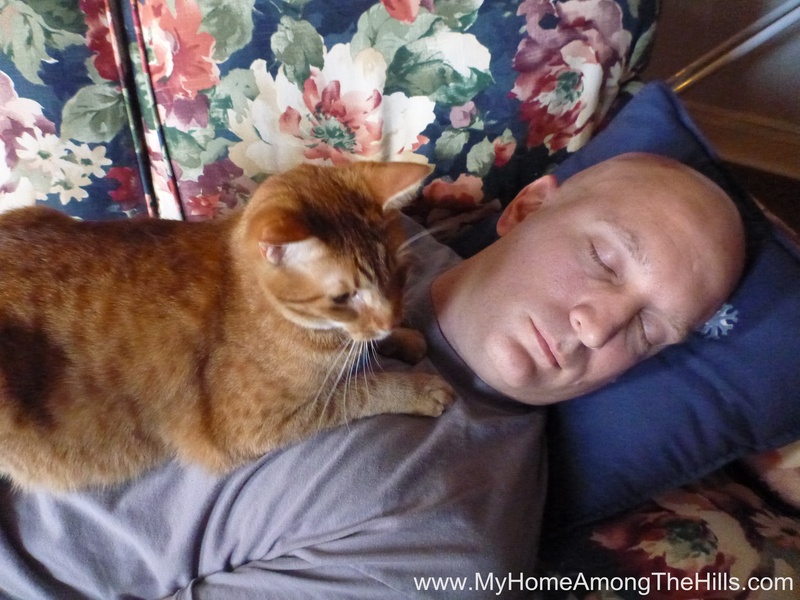 The other day, we were sitting down to watch some tv show during prime-time. Things started out pretty much as most tv shows start…you know, with cussing. I cringed a little inside because as much as I enjoy a good cuss now and then, it is an odd situation when you’re sitting with your 8 year old and some stranger on tv demonstrates the range of their vocabulary. I am pretty realistic and a bit sexist I guess but I figure Isaac already knows most of the standard compliment of cuss words. In fact, he has used a great number of colorful words on me. 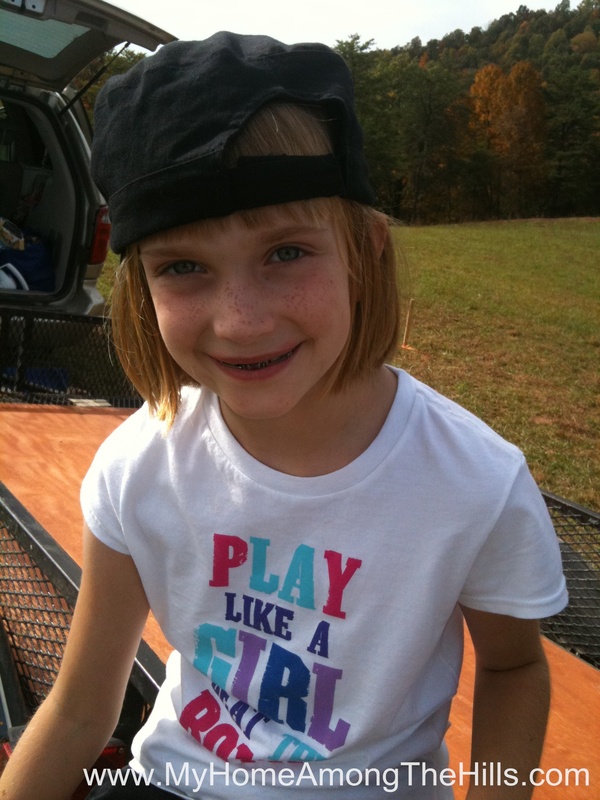 Anyhow, there is just something not right about hearing cussing around your little daughter. I looked over at Emily and then at Abigail and I guess she picked up on my discomfort. “Did you hear all of those cuss words, Dad?” “Yes Abigail, I heard them.” “Don’t worry Dad, I already knew them. Isaac taught me most of them.” That’s a relief…I guess. My gaze turned to Isaac and he had the sudden need to go study…something. We have busted it pretty hard and the place is finally looking like a house (or at least a deluxe shed)! 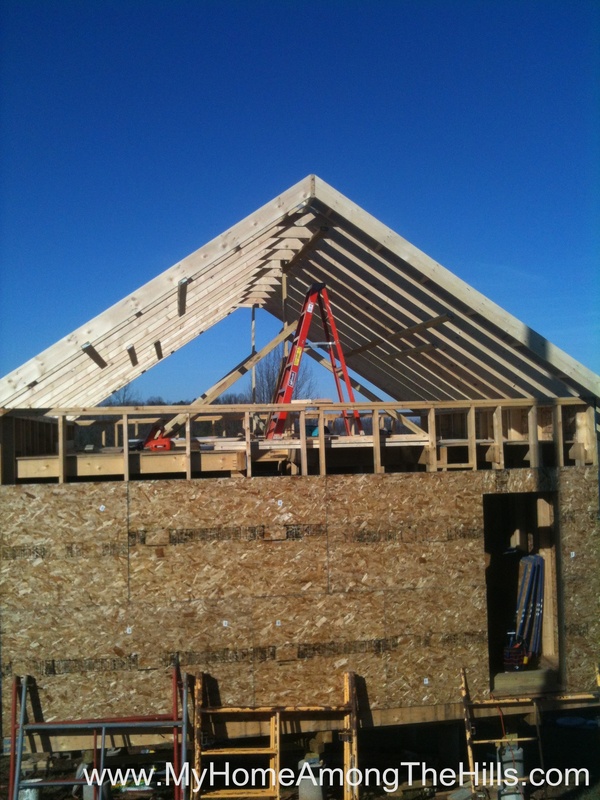 I took Thursday off from work to frame in the gable ends and add collar ties at the top of the rafters. 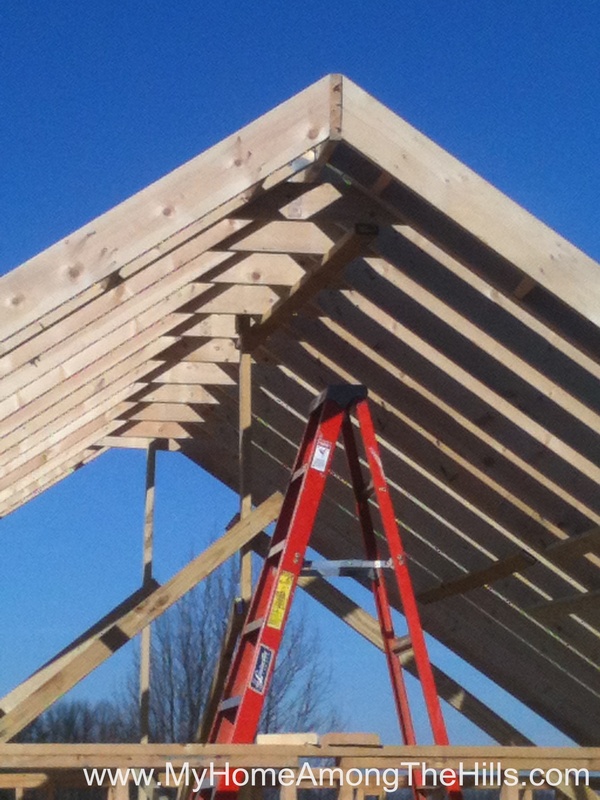 For the uninitiated, collar ties are boards that are added at the peak where each side’s rafters meet. 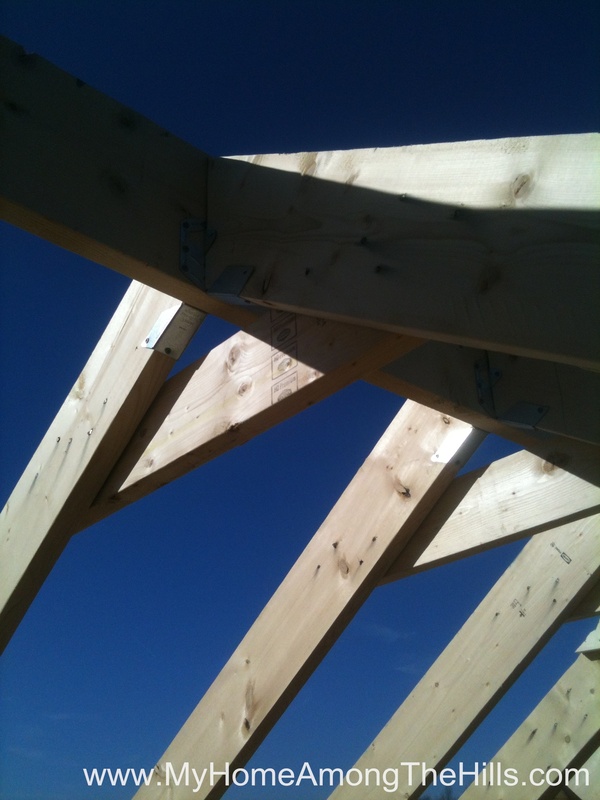 The collar tie helps to ensure that the boards cannot separate and splay out causing the roof to fail. 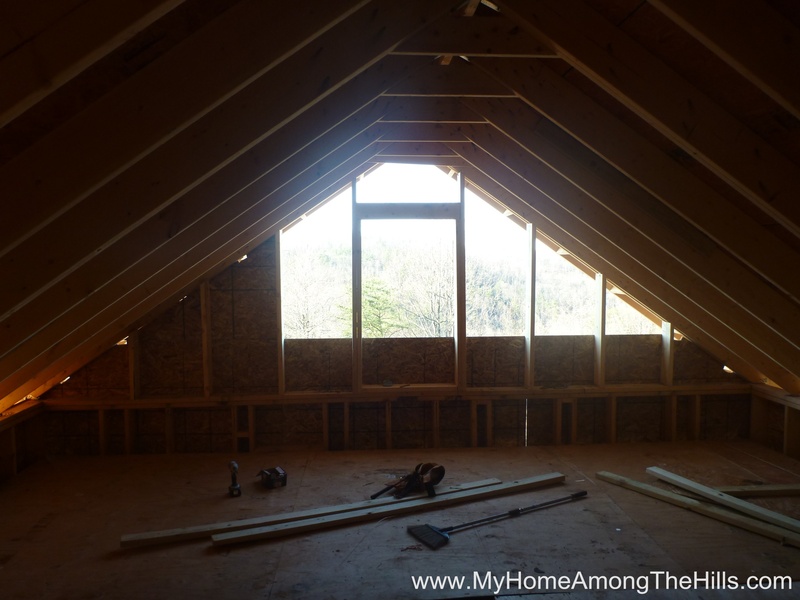 In typical trusses that most people have in new houses, all of the internal pieces are connected by several cross beams (which also make the attic area of most new houses almost unusable. 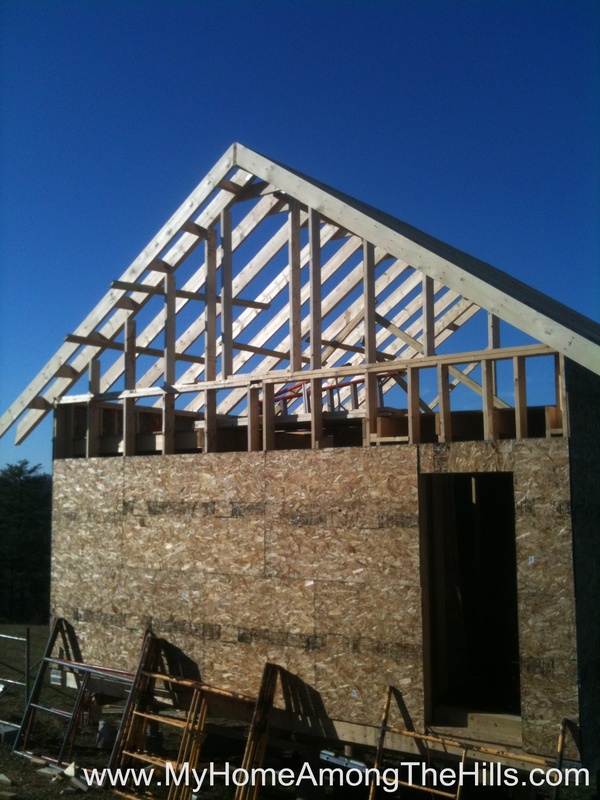 Anyhow, I got the collar ties in and the gable ends framed including large windows in the front and the back. I had to run the generator to power the saws of course, but I shut it down whenever I could and it was so peaceful up there. I could just imagine standing in the top of the place looking out over the woods and hearing only the wind and water. 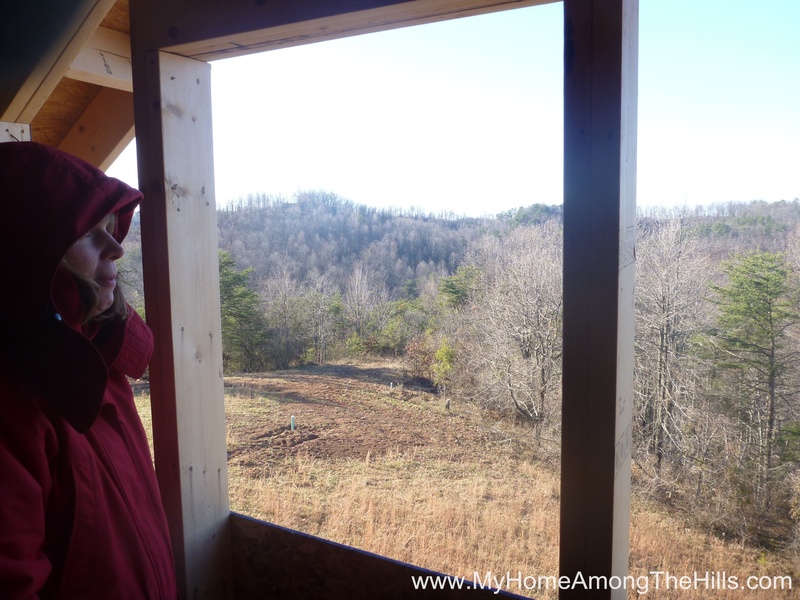 It was in the 20s on Thursday morning so all of the rain that had fallen into the open shell was frozen on the floor. As I was working alone, it was pretty treacherous and kept me on my toes. It really highlighted how urgent a roof overhead is to keep things safe and intact. 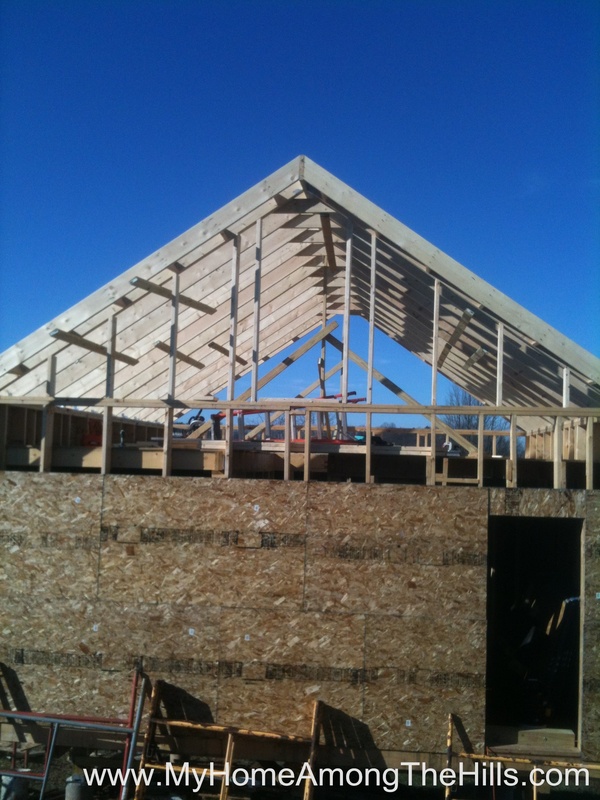 What made the collar ties and gable framing so urgent is that I have decided to hire a guy to put the actual roof on the place. 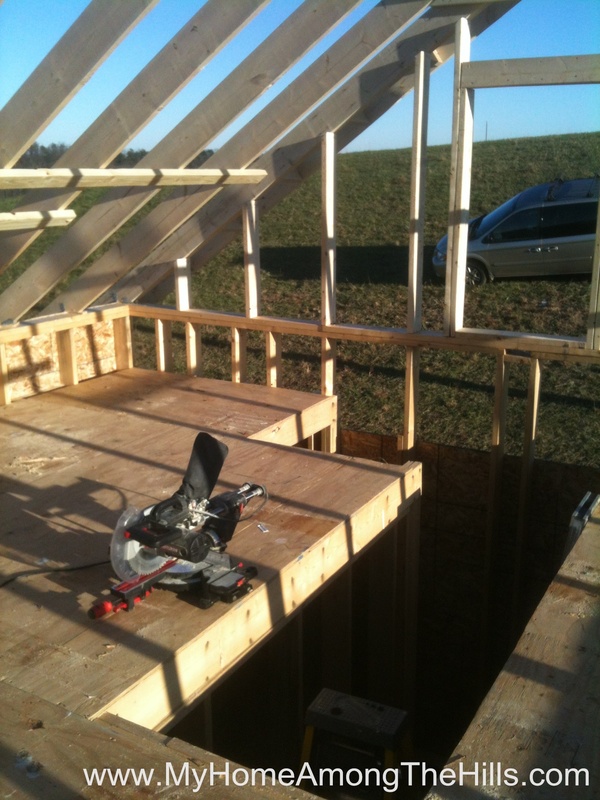 I have no safety equipment and since the roof is a 10:12 pitch, it is far too steep to easily traverse without it. Without the work I finished up, however, it would not have been safe for him to be up there either. 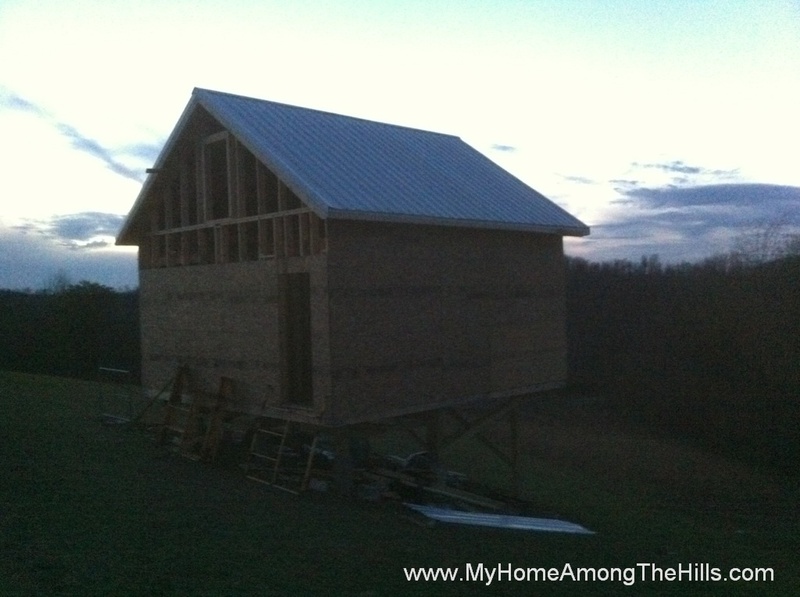 Hopefully the roof will be on this weekend so I can finish buttoning up the building for winter. 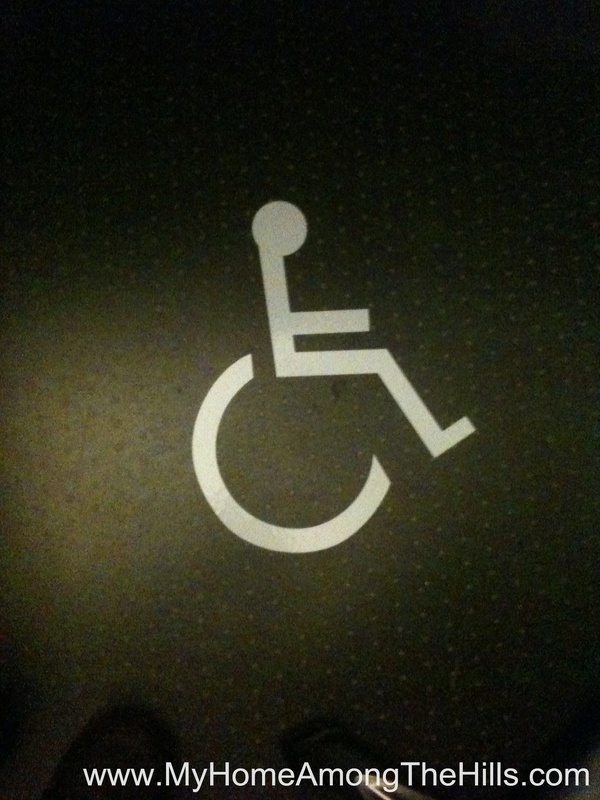 A little cleaner…mind the gap!